MC Module Cyclone separator consists of several or several dozen cyclones in parallel where such cyclones are small in diameter and arranged in a shared chamber. To facilitate the swirling the system is equipped with 8 vanes for each module, situated at the inlet of the module. The phenomenon of increasing dust collection efﬁciency with reduced equipment diameter is applied to the Module Cyclone separators, which increases the system’s efficiency and reduces the overall dimensions of the device, compared to conventional cyclones, while maintaining its high performance. The MC dust collectors can house 4 to 48 single cyclones, 258 mm in nominal diameter, arranged in a shared chamber, whose space is divided into input and output sections. The MC dust collectors have been designed for continuous cleaning of dirty gas ﬂow, in particular in processes where the volume ﬂow of gas is of a high quantity, concentration of dust is high and large particle sizes. Their primary application consists in dust collection in wood processing, mixing, grinding and granulation, transport and storage of bulk materials. They are used for separation of dusts from dirty gases and collection / removal of ﬁltration waste. Banks of cyclones and Module Cyclone are very popular as dust collectors of ﬂue gas in boilers and small and medium output heat generating plants. 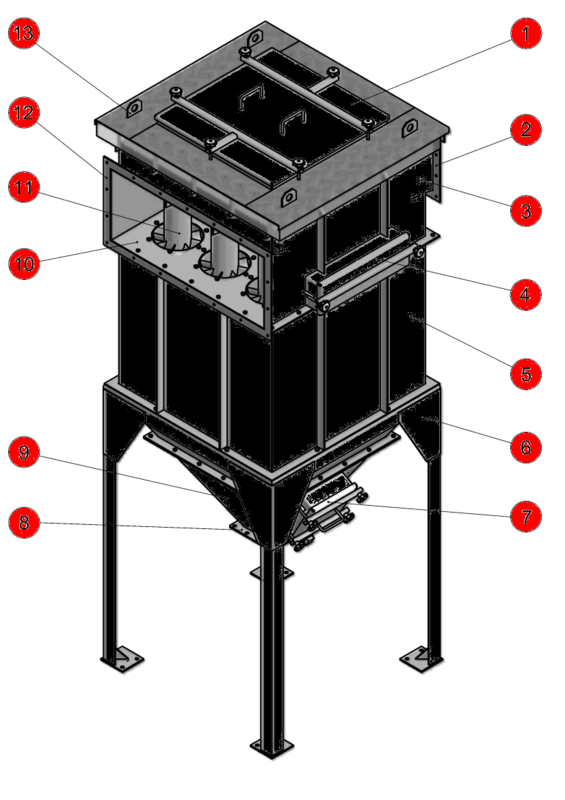 The MCA dust collectors are characterized by their robust casing that is resistant to abrasion. On the housing inlet and outlet of the MC are mounted explosion shutters painted in red. In case of gas explosion in the MC, the force of the explosion overcomes the clamping shutter springs and releases the excess pressure created in the body of the Module Cyclone, thus protecting it from destruction. 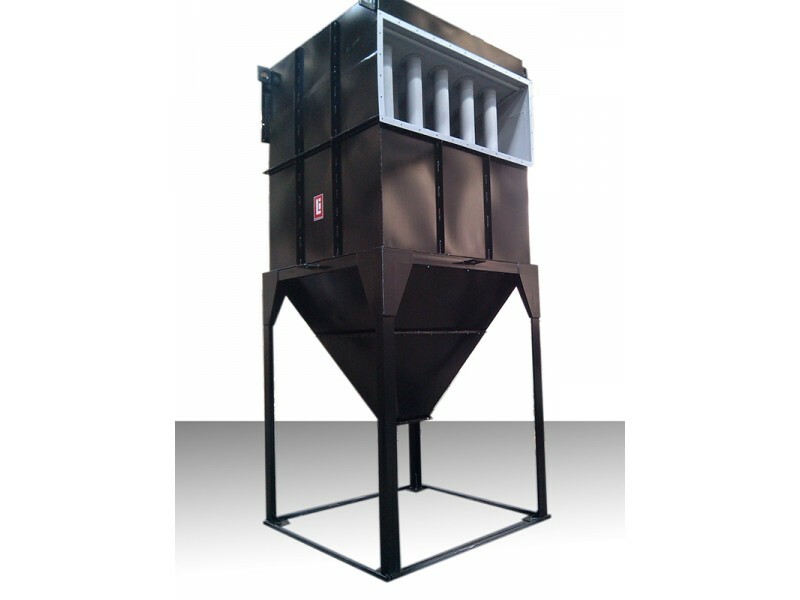 The MCA dust collector is typically equipped with a hopper suitable for attaching a container for ﬁltration waste or a discharging device (rotary valve, screw conveyor). Note. The type of the outlet ﬂange at the hopper is to be speciﬁed at order placement. Dirty gas is routed through a duct to the inlet chamber [10, Fig. 1] where it is distributed among single cyclones [11. Fig. 1]. When it ﬂows through a cascade of blades (vanes) in every single module, the dirty gas is subjected to centrifuging motion. Due to centrifugal motion the force separates large and massive dust particles towards walls of the cylindrical part of the cyclone. As dust particles hit against the walls many times they lose their speed and fall into the cone-like part, and then into the hopper. The ﬂow of gas changes its direction rapidly and ﬂows into the inlet of the hood [2, Fig. 1]. Lighter particles lose their speed due to inertial force and fall down to the cone-like section. 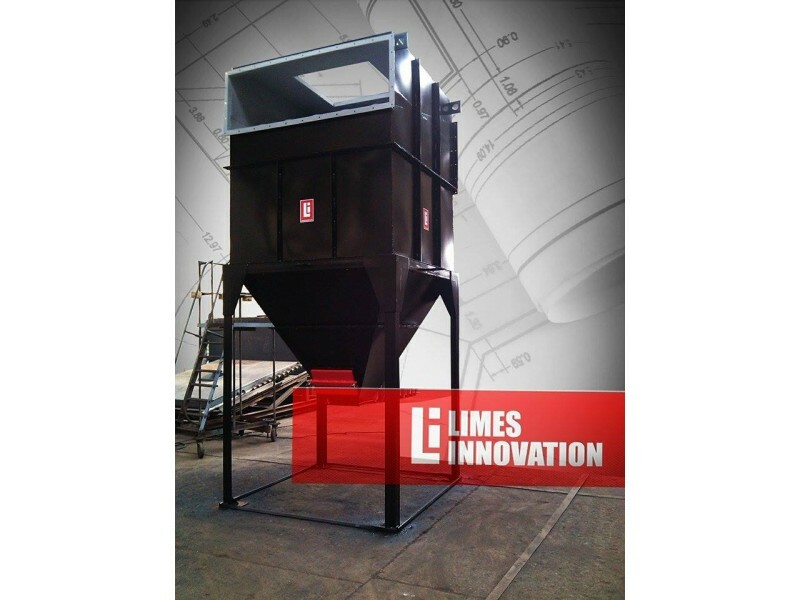 Separated dust (ﬁltration waste) is discharged to the hoppers by means of suitable unloading devices or falls down into the container. Solid particles become separated from due to gas spinning. To facilitate the swirling the system is equipped with 8 vanes for each module, situated at the inlet of the module.